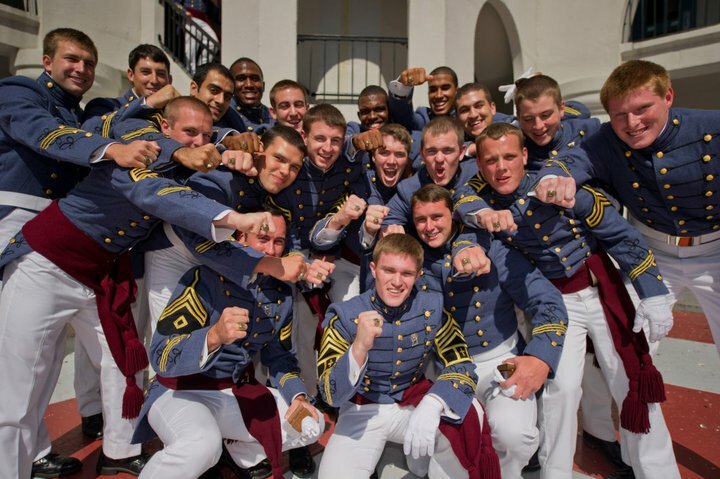 Parents of the Class of 2018: Your cadets have ordered their rings and gotten their blazers. It won’t be long until the BVA’s find out if they are Summerall Guards. In less than ten months from now you’ll be attending Parents/Ring Weekend! If your cadet is a Summerall Guard, do attend Corps Day Weekend. That is when they will transition from Bond Volunteers to Summerall Guards. Find out where your cadet will be as they march onto the field Saturday morning and find your place along the roped off area early to get good photos. My son was on the side closest to the stands (versus on the chapel side of the field) we stood along the rope in front of the stands closest to the walkway from 2nd battalion. Looking ahead to ring weekend, make your hotel or house reservation early. Get cancellation insurance if you rent a house as we learned this past fall with hurricane season anything can happen. I’ve written quite a lot about Ring Weekend and posted plenty of photos to show moms in particular what to wear Friday evening. In short, the ring presentation in the afternoon business dress is appropriate (you’ll see more casual attire too) the evening ring ceremony traditionally moms wear a formal gown since the cadets are in their most formal uniform. Moms, wear comfortable shoes since you’ll be standing in a line for your turn through the ring. You do not need tickets for the afternoon ring presentation or the evening ring ceremony. The field house fills up quickly for the presentation so get to your seats early. As your friends with sophomore or junior cadets to take photos/video of the march into the field house and have them stationed at the chapel where the cadets knock on the chapel door with their rings. After they receive their rings families should go to the barracks. The seniors run into the battalion have a sparking cider toast and throw the glasses at the company letter. If you are stationed at a sallyport with a view of the letter and a zoom lens you can get some photos. In 2010 my husband got permission ahead of time from the TAC officer to be in the battalion to take photos which we shared with everyone in the company afterward. After the toast the seniors will come out of the barracks for congratulations and photos. The Summerall Guards have to practice. Most others have the afternoon off. The school will post the schedule of when each company goes through the ring Friday night. If your cadet’s company has a time from 6 – 8 you can have dinner after you go through the ring. Bravo went through at 8:30 so our group of 30+ had dinner at 5:30. Family and friends who are with you Friday night will go sit in the stands and wait for the cadet and mom/date/other guest to go through the ring. Once you walk through the ring your party will leave the field house. Saturday of Ring Weekend is a regular football day, but with open barracks Saturday morning. Most cadets appreciate families bringing breakfast to them in the barracks that morning. Keep a camera handy. Senior cadets smile more on Ring Weekend than any other time. It all goes by so quickly. If you have family or friends with you consider asking them to be the designated photographer for the family.